Special tests will be performed by our technicians in order to determine the type of fabric on your upholstery. We will use cleaning solutions and techniques that are appropriate to that type of fabric. We will also pay close attention to any permanent stains and will perform protection measure for the area surrounding your upholstery. Materials will be vacuumed thoroughly before the initial cleaning in order to remove any dry soils and loose particles. Pre-treating is a necessary step because some fabrics need a special solution to prepare them for cleaning. 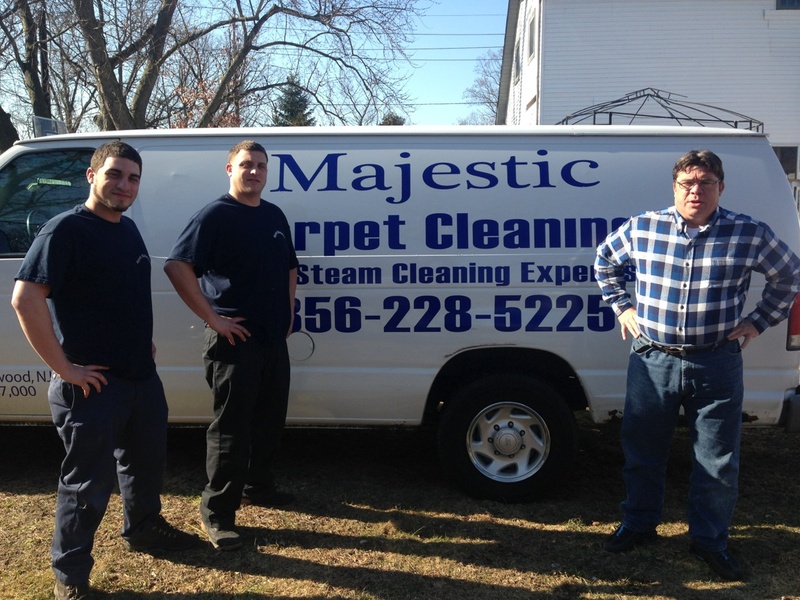 Top-Quality Upholstery Cleaning in Cherry Hill, NJ. also requires a pre-spotting procedure in order to get out tough, ground-in stains. This will increase chances of removal and then the fabric will be pre-groomed with a soft brush for further loosening of any stains. Our technician will perform a gentle, controlled rinse in order to extract any stains. They will apply a pH balanced solution so that the fabric still maintains a natural feel. Any extra stubborn stains will receive further treatment. This will include post grooming where an extra combing is done. The fabric will also be treated with a speed dry equipment.